As African leaders gather in Brussels for the EU-Africa summit, the foreign minister of Somaliland writes that despite substantial help from the EU, the country still faces important economic hurdles on its path to development, which could be remedied partly by international recognition. Mohamed Yonis is the Minister of Foreign Affairs of Somaliland. The fourth EU-Africa summit provides an opportunity to highlight the successes of the valuable partnership between our two regions, as well as future areas for cooperation. With the European Union’s support, Somaliland has become an established democracy. It has improved the health, education and general well-being of its citizens. However the progress we have achieved is at risk. Our peace and stability were hard-won, but they may come under threat without sustained international support to stimulate further economic growth. Without international recognition, Somaliland is unable to access financial support we need to grow our economy. We are also denied a seat at the table to discuss issues that will directly affect both Africa and the international community, such as the offer of a new trade deal for the continent. Just last year, European donors pledged 1.8 billion euros to end the ongoing conflict at a Brussels conference, declared as a ‘New Deal’ for Somalia. In Somaliland, our hope is that a small portion of this generous assistance will help us to cement our stability and increase security, to the benefit of us all. Within the New Deal, Somaliland was able to protect its independent status through the Somaliland Special Arrangement, ensuring that we are able to maintain complete control of our future, and continue our strong development. Somaliland has experienced a great deal of progress since declaring independence in 1991. Over the past two decades we have worked hard to create an island of peace in an otherwise difficult region. We have put in place functioning state institutions including police and armed forces. Terrorists find no safe haven within our territory nor do pirates off our coast. Since 2000, we have held five national elections, judged by international experts as free and fair, which have seen power transferred peacefully. Our government has introduced free primary education for girls and boys. Progress is being made in reducing child mortality and we are leading the fight against female genital mutilation (FGM) in the Horn of Africa. I cannot put this all down to the indomitable spirit of my people. Without the support of international partners this would have taken longer to achieve. The EU helped us hold a free and fair election in 2010 by providing substantial technical assistance. In partnership with Kings College Hospital in London, training has been provided to health care professionals. Access to primary education has been bolstered. Somaliland’s Veterinary Code has been developed – crucial in a country in which over two thirds of the population rely on cattle for their livelihoods. However, there are many challenges still to overcome. Somaliland remains poor, and while our economy continues to grow, the number of jobs has not kept pace with the number of young people looking for work. Peace and stability are closely linked to prosperity. 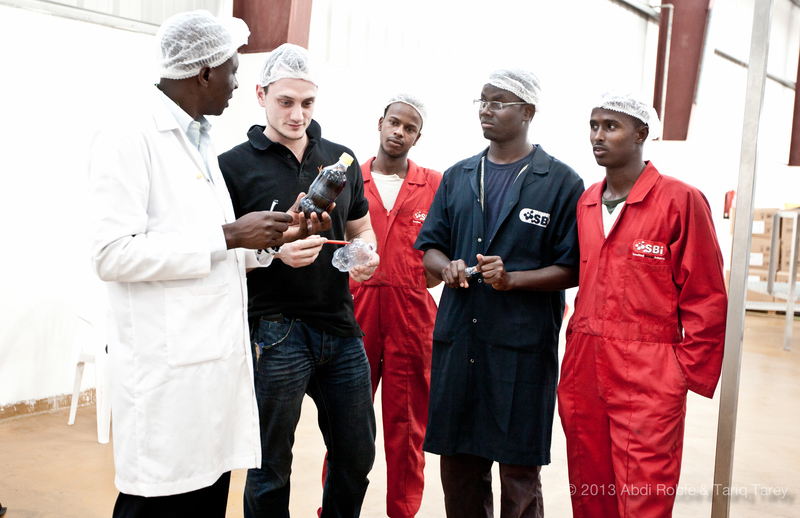 In collaboration with the international community, we need to find ways to provide our young people with livelihoods. We want to offer those graduating from our universities stimulating and rewarding employment to prevent both brain drain and illegal immigration, which affects both our continents. Together, we must concentrate our efforts on helping youth across Africa to fulfil their ambitions and shape a better future for all. If we don’t, we may risk losing all that has been achieved. In Somaliland, the foundations are in place to attract foreign investment to increase employment opportunities but we need sustained support from our partners to maintain this progress. Our successes to date show that by working together African governments and the EU can create a more prosperous and peaceful continent. Nevertheless, our biggest challenge remains. Despite real progress across the board and a history that saw us as part of Somalia for only three decades, we continue to exist in international limbo. This lack of recognition is a major block to accelerating our development, preventing us accessing international loans, and getting a seat at the table to represent the wishes and the needs of Somaliland’s people.